Before I launch in to my meditations on the 100-page chapter four of Gadamer’s Truth and Method, I first wanted to publicly thank Professor Donald Marshall, one of the translators of the second edition of Truth and Method, for taking the time to write to me in response to my email to both him and Joel Weinsheimer saying how much I was enjoying their work. In the past the work of German and French phenomenological and hermeneutical philosophers have suffered from poorly translated English editions, but I have to say that I am finding this edition of Truth and Method absolutely compelling. Professor Marshall wrote to me telling me that in fact Gadamer did come to visit his university in Iowa City to deliver a series of lectures which must have been enthralling. It was around this time that Donald met Joel Weinsheimer, and they discovered that they had a shared interest in Gadamer. By chance, the first edition of Truth and Method had just sold out, and so the publisher was receptive to publishing a new translation.The one I am reading is the 2004 edition published by Continuum. As you may have read, an attempt at reading Gadamer can be daunting, with many new concepts to take on board. Professor Marshall gave me a great deal of encouragement and a little more self-belief in what I am comprehending in Gadamer. What is clear to me is that I am not satisfied in knowing a concept intellectually, I really want to experience the meaning of the concept. Previously I think I had missed to what extent Gadamer is interested in our ability to understand texts from previous periods in history, and had introduced the term historical consciousness. Two related terms are tradition and historically effected consciousness of which I will be writing more in a short while. But Professor Marshall pointed out to me that in my attempt to comprehend the hermeneutics of Gadamer and apply this dynamical way of thinking in those areas of interest to me, namely organisational thinking, that I am in fact doing the philosophy as opposed to just studying the philosophy from an academic point of view. I am trying to absorb the radical movement in thinking which we may call hermeneutical consciousness, and then apply it. It is interesting that Gadamer spends much time exploring the history of the word prejudice and we discover that its negative connotations were only introduced during the Enlightenment. Before this period, prejudice meant “a judgement that is rendered before all the elements that determine a situation have been examined.” p273. So prejudice can be either positive or negative. Gadamer calls for a rehabilitation of the concept of prejudice and asks what are the grounds of the legitimacy of prejudice? What is becoming clear to me is that the concept tradition refers to perhaps a school of thought, or era in which one particular worldview predominated. Gadamer warns us not to see hermeneutics as a method or a procedure, but maybe more an art. There is something of immense important in these passages, and I am not too sure I have ability yet to articulate the intuitions that are developing inside of me as I read, as I am very much still exploring Gadamer. But I will talk a little about one example from business that may seek to clarify the benefits of making this shift in thinking, and not being a prisoner to methodology or procedure. My example comes from Jesse Schell’s The Art of Game Design of which I have already discussed in a previous article. In his book Schell first discusses the waterfall process of software development, and points out the the very name waterfall has an implicit assumption that just as water does not flow backwards or uphill, neither does the process. It is a linear process, and therefore much liked by management. In real life, software development does not work this way, and an alternative way to conceptualise the process is as a spiral, with the various iterations of software. In being dominated by the need, or dependent reliance on a methodology, we lose the ability to make sense, or literally see what is happening. I can’t help but think that hermeneutics can potentially add a whole new layer of thinking in how we conceptualise and organise our work. I would say my approach to my own freelance consulting work is quite intuitive, and I pretty much hide my philosophy behind what I am asked to deliver. If my proposals are greeted with delight, then that is what is important and not the underlying philosophical drivers, which can remain hard to articulate at the best of times. 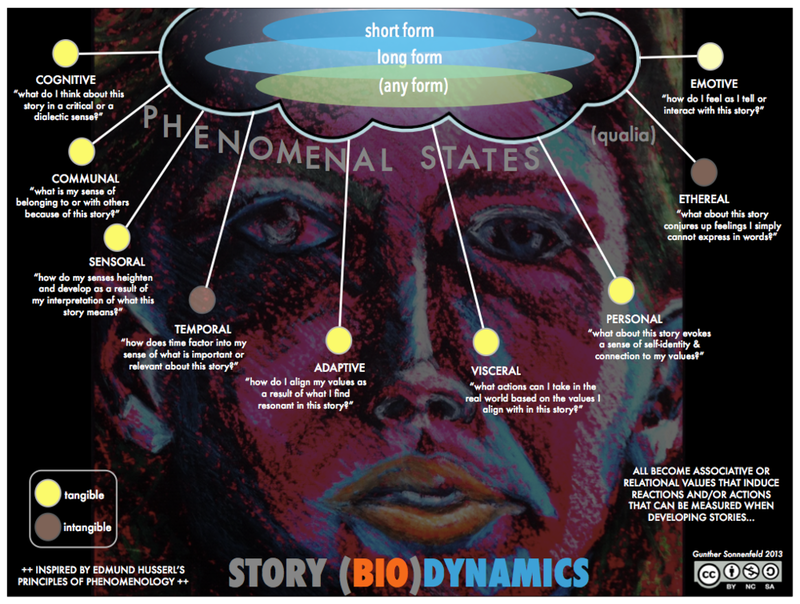 However, one person who is developing a phenomenological approach to business reorganisation, including government policy, innovation and venture investment is Gunther Sonnenfeld, who took as his inspiration Husserl’s principles of phenomenology to develop what he calls Story (Bio) Dynamics. I know that was a slight diversion from the text, but this is after all a meditation and not a review or an explanation of Gadamer. Gadamer himself explores further the notions of legal hermeneutics and theological hermeneutics, and I will skip over these to his discussion of the nature of the reader, the person reading a text. These words ring true for me. 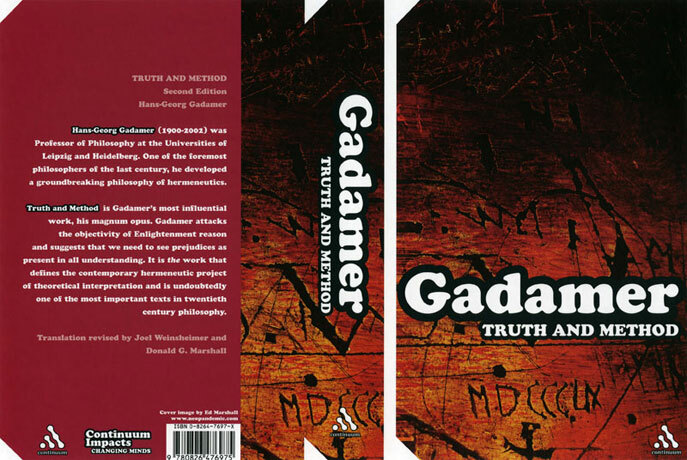 having read Gadamer so far, although I can not articulate historically affected consciousness, there is a movement whereby the interpreter is not trying to get inside the mind of the author, and nor is trying to distance himself from the text, but rather, achieves an expanded form of hermeneutical consciousness which is a blend of his or her own prejudices, and an openness to allowing the text to speak to them. This goes against the whole conception of experience and understanding as conceived by cognitive psychology. Although I may not be able to articulate fully yet the complete teachings containing within this chapter, if I were to describe the feeling, it is as if walls inside my intellect are being burned down, or melting as I read, as new vistas of understanding, still not fully in focus, open up to me. Here we have not only an incredibly articulation of the limitations of the human sciences, but a huge amount of guidance as to what we should be doing to design meaningful dialogue, including those which take place in our organisations. There are many questions that Gadamer raises, and one quite glaring one to me is based around the reality of ego in businesses and organisations. Hermeneutical consciousness is an art, a disposition, a sensitivity to be developed and nurtured, and yet ego seems rampant in these fragmented and fractured times in which we live. I have said how sometimes reading Gadamer it feels as if many preconceptions about the nature of knowledge and consciousness and understanding dissolve inside of you, but this is a part of the path of transformation. “The benefit of the cup is in its emptiness” as Bruce Lee taught, and by this it means that if we are so full of our own certainty of what is, then we will never have the ability to enter into a discourse with another other, be it another person or text. Another question I have relates to how the concept of historical consciousness can be applied not from the present to the past, but from one culture in the present to another. I am reminded a lot of the work David Bohm undertook on dialogue, and many Bohmian principles appear to be present in Gadamer’s hermeneutics. Chapter 5 of the book is Part three; The Ontological Shift of Hermeneutics Guided by Language. I can’t wait to get a chance to read it, and I thank all those of you who have been reading this series of articles and providing many helpful comments to me along the way.